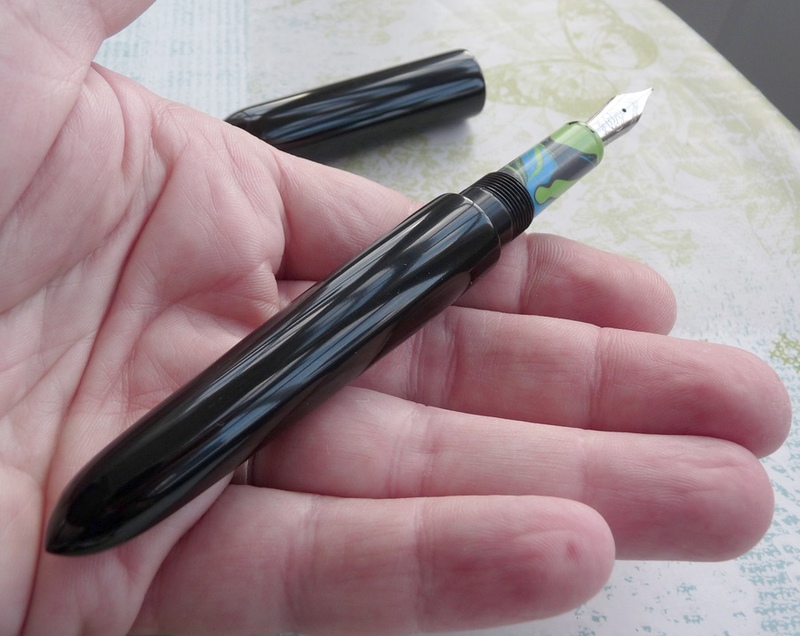 Applied Pens Streamline Fountain Pen Review – Pens! Paper! Pencils! Jake Lazzari is a designer based in the UK who makes some very interesting looking pens under the Applied Pens brand. 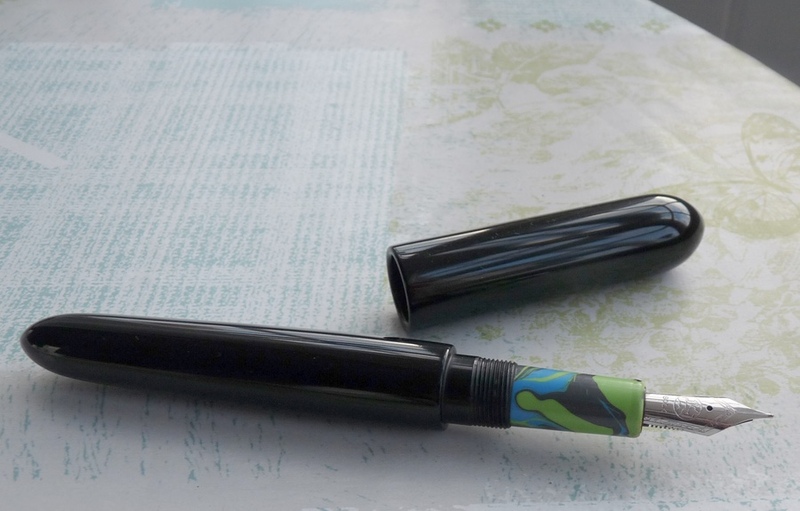 Every part of the Streamline except the nib and converter is made by hand by Jake. The results are striking. The Streamline is inspired by Streamline Moderne, which according to Wikipedia is a style of late Art Deco architecture dating from the 1930s. Even to my untrained eye the Art Deco theme is clear. It’s a distinctive design and one I like very much. Don’t let the name fool you into thinking this is a small or slim pen though. It certainly is not. It’s very long, only just fitting into my Nock Co Brasstown pen case. I found the pen very comfortable to hold. It will be comfortable for most people because the light weight doesn’t cause any balance or fatigue issues. The cap doesn’t have a clip and doesn’t post. Does this mean the cap will roll away given half a chance? Yes it does. I prefer clipless pens and I tend not to post unless I need the extra length so I’m always careful where I put caps but this could be an inconvenience now and then. It screws on to the section to close. The barrel and cap are made from ebonite which fits nicely with the 1930s concept. 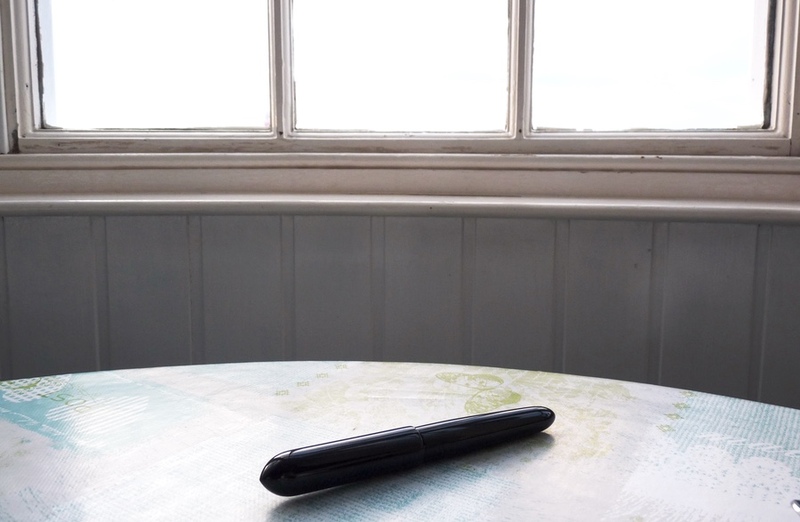 It’s a pleasant material for a pen, being slightly warm to the touch as well as light. It makes the pen seem a little more special, too. The section is plastic, which tends to be called resin when you’re paying more than £20. There’s nothing wrong with it being plastic, especially when it’s as swirly and fun as this. It’s quite a contrast to the somber ebonite barrel. Not quite my cup of tea but that’s just me. The nib is a #6 steel Bock and it very much lets the pen down. Bock can make excellent nibs but the ones they sell to smaller manufactuers just don’t tend to be all that good. 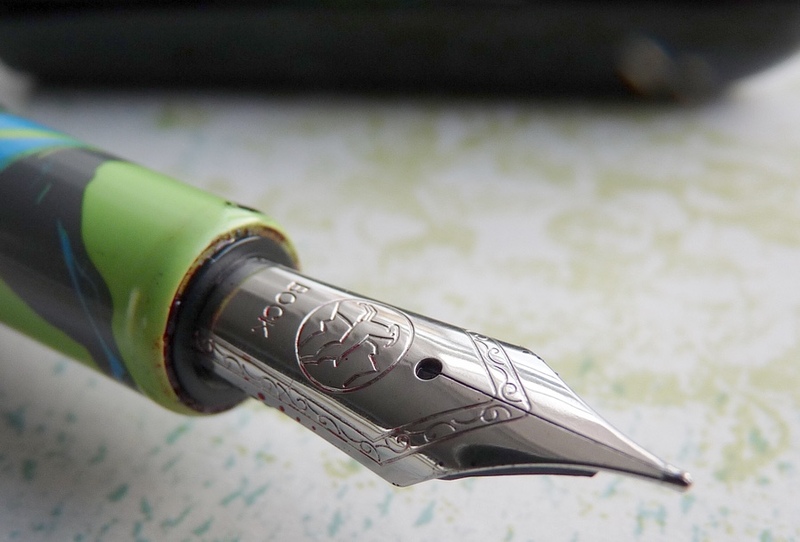 It’s such a shame because a pen this lovely deserves a great nib. This isn’t my pen and I’ll soon be passing it along to the next United Inkdom reviewer. If it was mine, I’d be putting a better nib into it and then I think I’d love it.